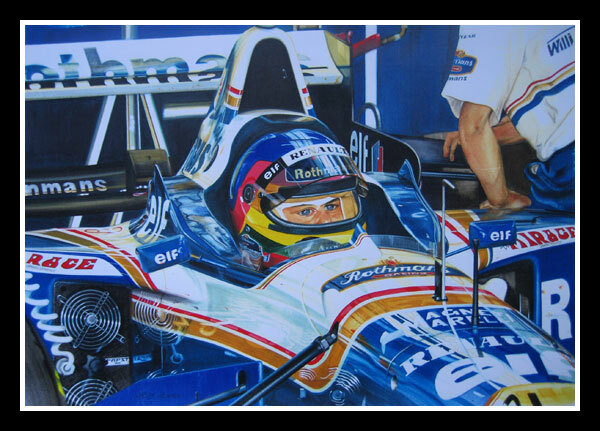 Jacques Villeneuve was born in Saint-Jean-sur-le-Richelieu on 9 April 1971. He has joined Damon Hill as a second-generation F1 success, and has already outstripped his own father’s achievements by scoring more race victories and taking the Drivers’ Championship in only his second year of F1. He remains a favourite to retain his title in 1998. Despite a slow start to his career in Italian F3, he quickly made striking progress as he moved up the ladder. His first success came in the 1992 Japanese Formula 3 Championship, in which he was second. A season of Indy Lights in America followed before he was snapped up by the Forsythe-Green Racing team to contest the PPG Indy car World Series for 1994. Voted Rookie of the Year after taking his first Indy car win at Road America, Jacques continued with Forsythe-Green for 1995. His career really took flight, winning the Indy car Championship at only his second attempt, and bagging the Indy 500 on the way. A chance to join the Grand Prix scene at the top with Williams-Renault was grasped with both hands, and Jacques certainly made the most of it. After an extensive winter test-program, he took pole position in his debut Grand Prix and almost won the race - a feat only achieved by Giancarlo Baghetti in 1961. He eventually finished second to team-mate Damon Hill, but took his first victory just three races later at the Nürburgring. Three more wins followed, and by the season’s end he was in a position to challenge Hill for the championship. His dream debut season ended when his wheel came off during the final race of the season in Japan. During 1996 Villeneuve gained a reputation for being an out-and-out racer, pulling off the pass of the season on Michael Schumacher around the outside of the dauntingly-fast, final bend at Estoril. In 1997 he was expected to dominate, but a first half of the season that saw him either win, or nor score points at all left him trailing rival Michael Schumacher. A late-season resurgence that coincided with some poor results for the German put Villeneuve back in charge, but an exclusion from the Japanese Grand Prix for yellow-flag infringements left him a point behind going into the season's finale. The now infamous collision with Schumacher left Jacques able to trail round and scrape the points necessary to become Canada's first World Champion.